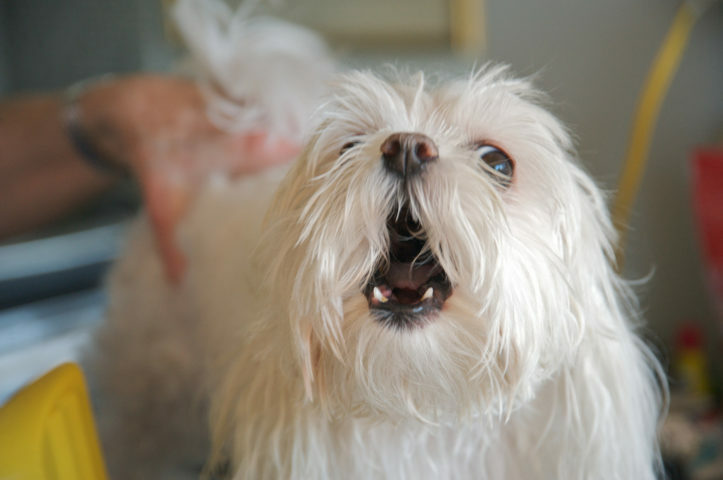 Does your dog bark at the same thing every single day — like the washing machine, for example? Do you wish you had a way to keep your dog from barking during those times? This video shows how to change your dog’s response at those times by simply “conditioning” your dog to behave differently in those situations. You ultimately want your dog to be in the presence of whatever makes them bark all the time — without them feeling like they have worrying about it, or bark at it. Identify the particular noise which causes your dog to bark. Reinforce your dog in those situations before your dog starts to bark. Interrupt your dog when they start barking at that noise so the dog’s attention is on you, not the noise. Prevent barking when you’re not around by leaving the TV on or preventing your dog’s access to the noise. If your dog barks at more than just the same noise every time, here are 3 easy step to stop your dog from barking in other situations.